You might have noticed that I tend to post a lot of pictures of food from my TV segments. Doesn’t it make you crave a good, juicy steak? 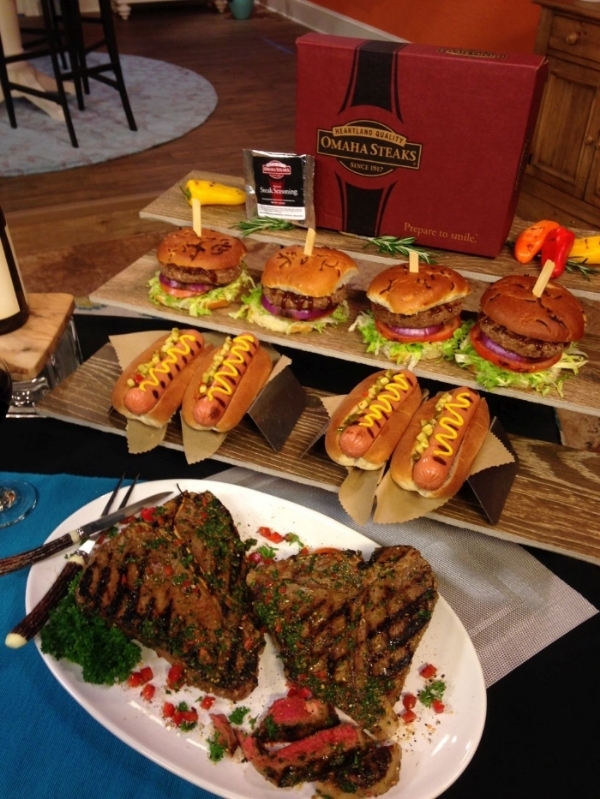 Since I think it does - I’m giving away a $100 gift card for Omaha Steaks! Use it for a gift – or to stock up for your Fourth of July cookout. I have worked with Omaha Steaks - and ordered from them - for years. If you have always wanted to try them out, here is your chance. Head on over to Instagram and follow me. “Like” the Omaha Steaks photo on my Instagram that includes details of this giveaway. Comment on the photo and tag another person who might want to enter. That’s it! No heavy lifting required. The fine print: You must be 18 or older to win. Since Omaha Steaks only ships within the United States, Canada, Puerto Rico and the U.S. Virgin Islands, the winner must reside in one of these locations. Entries must be completed by 11 p.m. ET on Thursday, June 16. Winner will be selected at random and announced on my Instagram. June 17 update: Congratulations to @grmetheny - winner of our Instagram giveaway of the $100 Omaha Steaks gift card! Thank you to everyone who entered. Stay tuned for future giveaways!